With ~300 models of high-precision ride control products and solutions, Gabriel India is counted among the leaders in its segment. By partnering with our customers and leveraging our top-notch R&D capabilities, we have developed products and solutions that have kept pace with emerging market, technical and social trends. We believe that it is our obligation to design and develop products that limit emissions and make mobility a more environment-friendly affair. 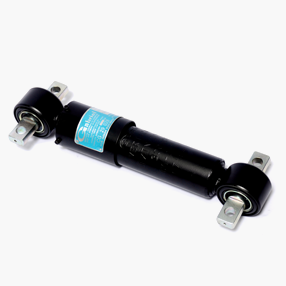 For EMU coaches, Gabriel manufactures air spring shock absorbers with higher salt spray lives, silent block end mounting types and ensure faster dissipation of heat. 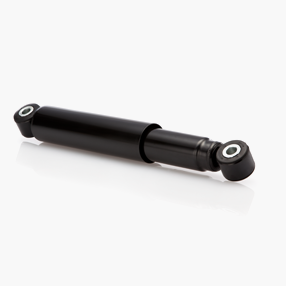 Gabriel India offers axle dampers with conventional design for 0.5T to 31T GVW vehicles with 17 mm diameter rod and 41 mm bore configuration. The salient features of the product include PTFE-coated guide bushing, FKM multi-lip seal, seam-welded closure and tensile strength of 5T. Gabriel India offers a customised fully integrated solution of cabin dampers – vertical dampers with and without coil and lateral dampers for yaw control. 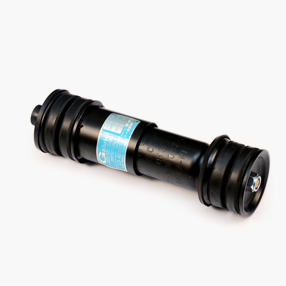 The product is made in various bore and rod size combinations as per the required performance requirements. 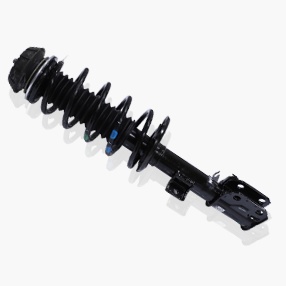 Gabriel India is respected for producing the best-in-class canister shock absorbers, reinforcing its market leadership. Features such as gas pressure of >15 bar of nitrogen (eliminates cavitation, avoids oil gas mix-up and hence, aeration), have established its respect as a company that pushes the technology frontier and takes customer interests ahead. Some other unique features of these absorbers comprise an instantaneous response, superior ride quality, Spring-on-Spring (SOS) design and All Disc Design (ADD) valving for multi-stage damping tuning. For diesel locomotives, Gabriel offers dampers with consistent damping force, faster dissipation of heat and higher durability life. Gabriel India provides dampers for Linke Hofmann Busch coaches with indigenous serviceable design that are capable of responding instantaneously to minimal amplitudes. 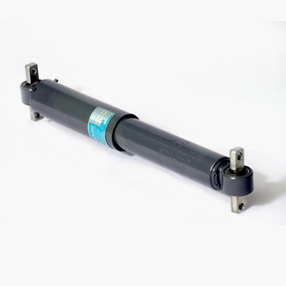 They also offer higher corrosion resistance and stable damping. 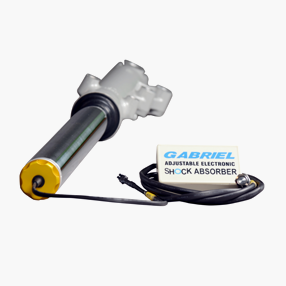 Gabriel India manufactures high-quality adjustable shock absorbers. These come with a convenient dashboard-mounted switch enabling the driver to select between ‘Sport’ (for highway drives) and ‘Comfort’ (for rough roads) modes. 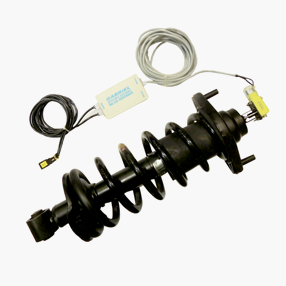 Gabriel India manufactures high quality adjustable shock absorbers, which come with a convenient dashboard-mounted switch, enabling the driver to select between the sport (for highway drives) and comfort (for rough roads) modes. Gabriel India offers superior ride comfort with e-assisted adjustable ‘Sport’ and ‘Comfort’ modes. 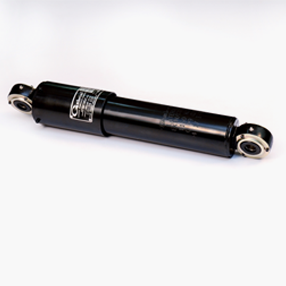 The product is scalable to 18 stages of ride tuning options with a manual click mechanism. Gabriel India manufactures world-class front forks for different categories of vehicles like scooters, commuter bikes and premium bikes. Our patented design ensures a reduced frictional force resulting in a noiseless experience. Our facilities for special alloy castings ensure higher standards of safety and robustness for the premium segment. 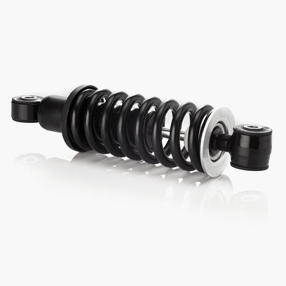 Our product range comprises mono shox, offering better low-velocity damping control, high structural strength, high damping and dry bearing-type bottom bush that enhances twisting. 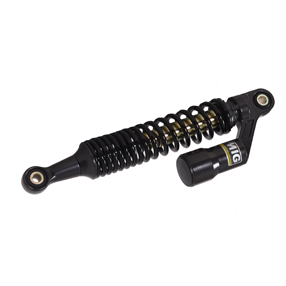 The product is ideally used in high performance street motorcycles, ATVs and golf carts. 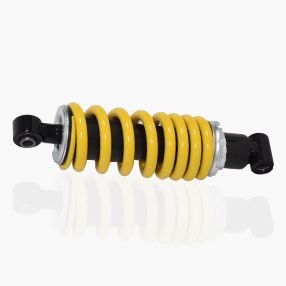 Gabriel India manufactures dampers with and without co-axial coil springs, PU spring aids and vibration insulator mounts. These are made in various bore and rod size combinations as per demanding customer needs. The product offers multistage valving for improved damping characterisation; the all-weather oil ensures superior performance in varying ambient conditions. 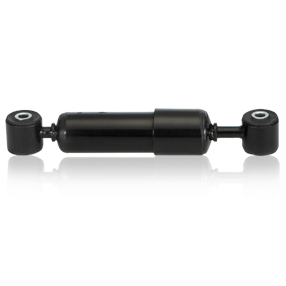 Gabriel India has produced world-class gas-charged hydraulic twin tube dampers suitable for compact vehicles. The futuristic All Disc Design (ADD) valve design ensures a smooth ride, irrespective of terrains. 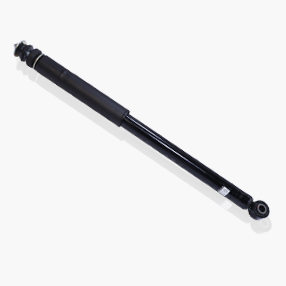 Gabriel India’s gas-charged hydraulic twin tube McPherson strut construction is suited for compact SUVs. 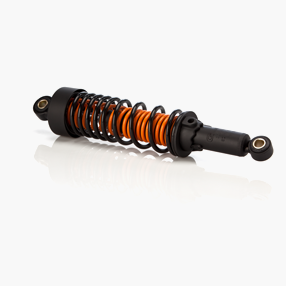 It comprises innovative features like the large pressure tube bore that can withstand higher damping forces; the long stroke rebound spring support provides a softer ride; the friction control seals provide adaptive response to varying lateral loads. 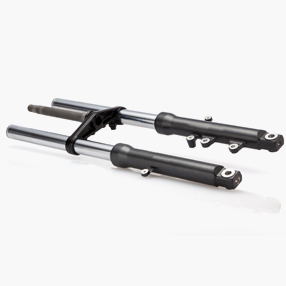 Our patented hollow rod technology makes the strut lighter on the one hand and extends product life on the other.